AXIS 2N SIP Mic is an all-in-one network microphone console that give you a smart and easy way to turn your Axis network speakers into a complete public address system. 2N SIP Mic is a complete, two-way microphone console in a single unit. 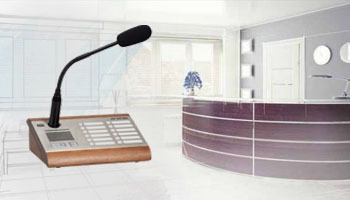 It includes a top-quality gooseneck mic, 12 configurable buttons and a built-in audio management server. There’s no need for a separate server, timing device or anything else because everything you need is right in the console. Easily integrated with your Axis network speaker system, 2N SIP Mic can be connected to a standard network using PoE. 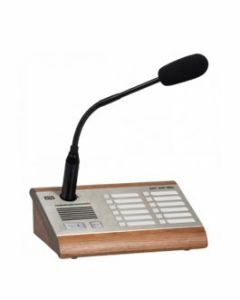 2N SIP Mic is ideal for live or prerecorded announcements and paging. It features 12 buttons that can be effortlessly configured to the actions of your choice via a user-friendly web interface. Each button can be associated with a single zone or a combination of zones – and changed as often as you like. Like all Axis products, 2N SIP Mic is a network solution that’s based on open standards. So in addition to being easy to integrate with your Axis network systems, you can also connect 2N SIP Mic to other IT systems. And it’s scalable: Support for SIP means you can connect it to a call manager / PBX system for live and pre-recorded announcements and paging in an endless number of zones.